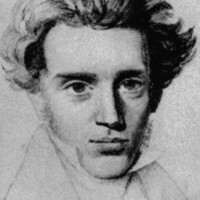 If you are into books on Christian thought and theology -even philosophy- then you must have come across this name a lot: Soren Kierkegaard. And he was such an outstanding writer on life and devotion to God (and what these mean) that he has come to be regarded a philosopher, though I’m quite convinced that he would have frowned upon being referred to in this way. However, his writings have been described as difficult and complex (heard that said a lot about theologians and philosophers! ); so a compiled paraphrase of his major works on the Christian faith certainly lends a great deal of help. Charles Moore’s compilation was first published in 1999 by Plough publishing house, Farmington. This editor does a great job of putting these works under five headings representing various themes. Typical Kierkegaard themes, one might say. He also has a section in it for quotes from this remarkable 19th century Danish writer. The first set of works relate to the need for clarity and decisiveness in living the Christlike life. Kierkegaard speaks spitefully (as he always does) of vain religiosity and mere intellectual Christianity. What is required is “to will one thing”: to draw nigh unto God, with all that we are. In though, words, and living, regardless of the prevailing atmosphere. Nothing else will do. Provocations contains writings on the individual, subjective nature of faith- subjective in the sense that the person must believe for himself, and live this faith vigorously. In fact, the vigour Kierkegaard speaks of ‘almost’ comes through to the reader from the pages of the book. Such is his lucid descriptions of what it is to live an uncompromising life of devoted faith, that you might get shaken out of the “going through the motions” sort of Christianity. There is serious talk too, about love being about sacrifice and surrender, God being the ultimate actor. But we must remember: love is shown in actions. Soren Kierkegaard has a knack for being blunt about suffering as being part of the Christian’s experience. He describes it as a refining instrument, something which has the potential of bringing us close to God. Because we are not of the world, we will encounter frictions with the world, and we will be bruised. But we will also be shaped and sharpened. Collision with the world is inevitable. He condemns comfort-seeking, as well as cultural Christianity and ‘Christiandom’, for peddling a brand of Christianity which is weary of the fire, and too steeped in worldly concerns to be fixated on the true faith; the faith which is a provocation and an offence to the uncommitted, and the unbelieving. For this man whose writings call for a radical faith in spite of the horde’s definitions says: “the crowd is untruth”. The need for decision is always with us; the urgency of our faith’s commitments require wholesale abandonment of lethargy and its replacement by the fire of passion for our God and His ways. Although Kierkegaard’s language may sometimes be caustic and biting, the essence of his desire is clear. And I do not agree with everything he says (for example, I believe that there is some need for an intellectual study of God’s word; it yields great benefits to the Christian and enriches his understanding of various dimensions of the faith). But it is true that a conscious life of undivided attention to the absolute truth of the “mere” gospel, is not substitutable. I urge you to read this book. You will be challenged by it, without a doubt. And hopefully, moved to live fearlessly the authentic Christian life.